International fair SAGRA recorded more than 35 years organized in Center Skenderija Center and represents one of the most important economic events in the region, through which it is presented novelties in the world of civil engineering and architecture. The beginnings of the Construction Fair is related to the in 1978 After a break of five years, Sarajevo Fair continues with Fair organization Construction "Building and restoration". In the period from 1996th this 2008th the growing importance of this event along with the growth of investment in the construction sector in Would. Fair with additional or the facilities sat segments - fair from year this year gains in quality and quantity. Sarajevo Fair'with 2011th as a sub segment of the Fair launched a new project "Days of Energy Efficiency in Buildings" The primary objective of this project is to improve the general situation in the application of energy efficiency in buildings, and informing the public about the Would market laws and directives laid down by the EU for the construction sector, with promotion of certification of construction materials and facilities in order to increase energy efficiency in buildings. 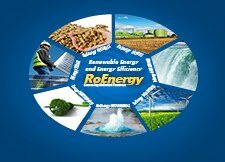 Organization of Energy Efficiency in Buildings was aimed at improving international cooperation through direct and indirect incentives for the development of guidelines for energy efficiency in buildings. This year's event is the central presentation of exhibitors and co-exhibitors from Europe and the World. The timing of the event: 05.03. - 07.03.2014.